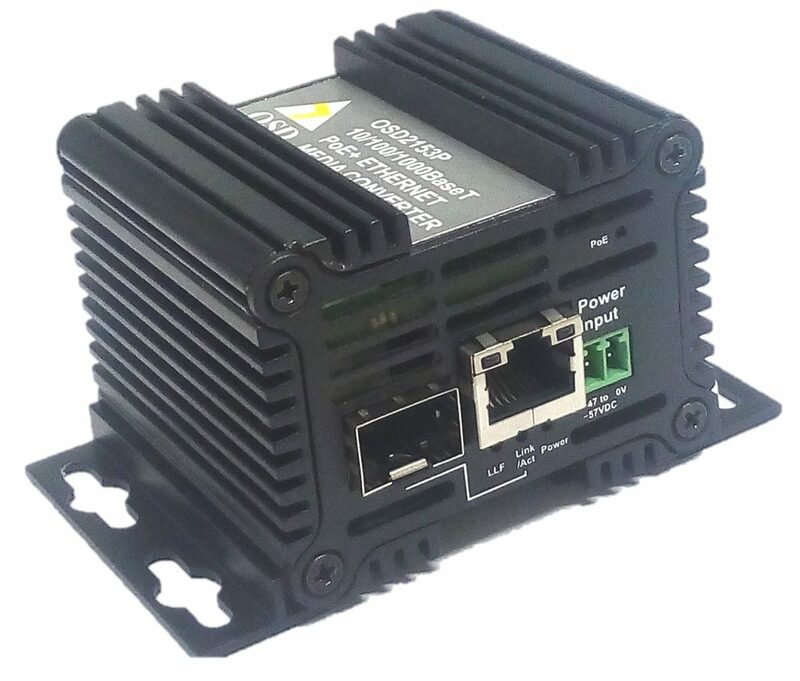 Complies with IEEE802.3i/802.3u/802.3ab 10/100/1000Base-T, IEEE802.3z 1000Base-Lx/Sx standards. Provides up to 60W from PSE. Supports network traffic of 100Mbps or 1000Mbps. Has one fixed 10/100/1000BaseT copper port and one SFP port which can be 10/100/1000BaseT, 100Base-Fx or 1000BaseLx/Sx/Zx. Can be used with either singlemode or multimode fiber over a variety of link budgets. Supports IEEE802.af/at Alternative A, and B cable wiring. Powered by non-critical 50VDC supplies.